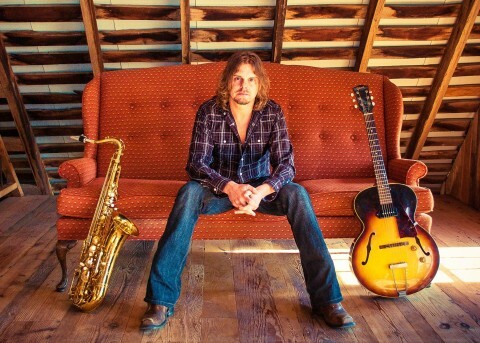 Singer/songwriter/saxophonist Ken Francis Wenzel will introduce his own roots-rock, country jazz-tinged take on love, learning and life in contemporary America to the Old Ox crowd on Saturday, April 25 from 5:00 to 8:00 p.m. Ken studied classical saxophone at the University of Illinois before graduating from UNLV in Las Vegas with a degree in jazz studies. After a decade of playing saxophone all over the world with renowned artists such as Frankie Avalon, Been Vereen, Bobby Parker, and Carlos Santana, he tired of being considered “just” a saxophonist. Ken decided to buy himself an acoustic guitar and began reinventing his own sense of musicianship. Preview Ken here.